Managing a fleet is a difficult task that includes many responsibilities. Whether you run a landscaping business, construction crew or operate on a farm, it is obvious that the success of a fleet ultimately depends on increased profits and decreased expenses. Running a fleet efficiently and effectively is critical to the success of any business that requires a fleet of heavy equipment. After 50 years of being in the business of maintaining fleets, Roma Fuels has gained an extraordinary amount of knowledge and expertise concerning fleet maintenance and management. Our team of experts know how to keep fleets running no matter the circumstances. Here are some tips to keep your fleet effective and efficient. 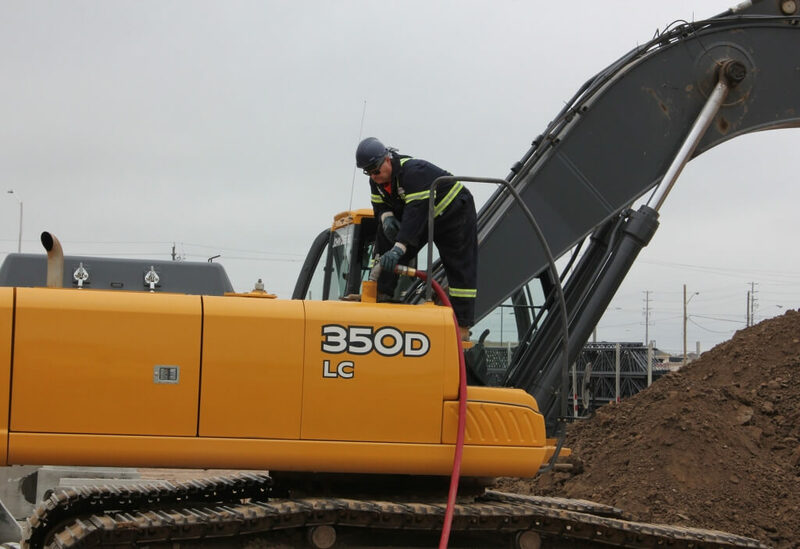 Depending on your line of work, a fleet can be comprised of all sorts of different heavy equipment from trucks to tractors to road rollers and more. With so many different brands and models in the industry it is important to know which equipment will fit your needs and goals best not just in the short term, but also long term. Consider factors that impact the bottom line including cost of ownership, depreciation and leasing / financing options. Having the right people on the job is also critical to fleet management success. Making a point of pushing employee satisfaction is critical to getting the right employees. Also consider tailoring your advertising efforts online to attract a wider pool of potential employees. Many large fleets likely already know this one, but for those on the fence about installing a GPS system and route designer on your fleet; they are extremely beneficial. Route design software can improve route efficiency and boost on-time arrivals. This not only benefits crews, but customers will also be satisfied to see trucks arriving on time. GPS software also allows dispatch to let a customer know where their truck is. Easy maintenance helps to ensure that drivers get the maintenance needed done on their fleet vehicles. Having a complicated maintenance process encourages bad behaviour which can lead to reduced maintenance and consequential costly breakdowns. Consider implementing quick refueling and lubricant procedures to encourage maintenance to be done. While ease is important in ensuring that the risk of costly repairs is minimal, ensuring that maintenance is efficient is also critical. Timely and slow maintenance means more time sidelined rather than being on the road heading to the next job. This has a significant impact on bottom lines, and is something managers really need to think about when designing their maintenance plan. With 50 years of expertise in the business, Roma Fuels is here to help your company design and fulfill its fleet maintenance needs in a timely and cost effective manner. No matter what the equipment or the field of work, we’re here for you and your team. If you’re designing a maintenance plan for your fleet, or are looking for a new fleet refueling and maintenance provider, talk to us today to learn more about how our solutions can keep you and your fleet up and running.